The above info came from Ella, and was edited by yours truly (contact me). The image came from wordpress. 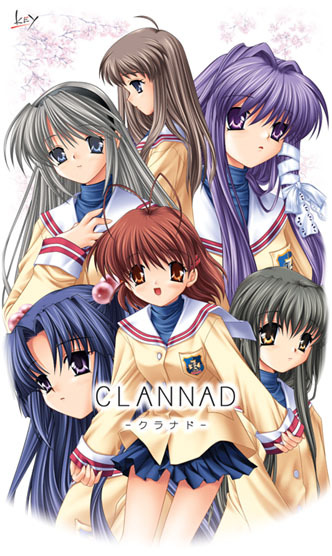 The anime focuses on the life of Tomoya Okazaki, a high school student. Tomoya met Nagisa Furukawa, a girl one year older than him and fell in love with her. 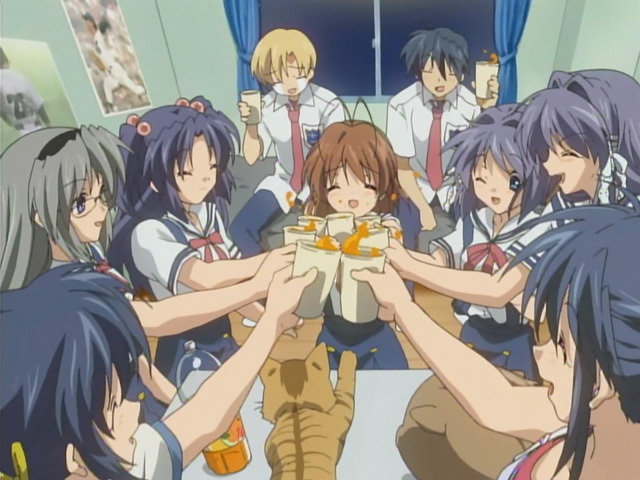 Then he met Kyou, her sister Ryou, Kotomi, Tomoyo and Fuko. Nagisa's goal was to create a drama club and with her friend's help she made it. The above description came from Ella, and was edited by yours truly (contact me).